Looking for a unique wedding idea? 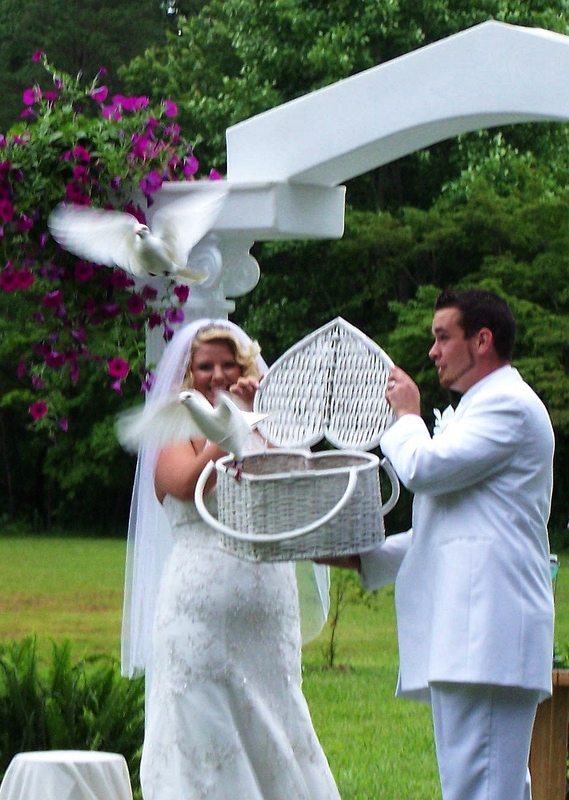 Click Here for more information about our unique wedding ideas to include a White Dove Release. 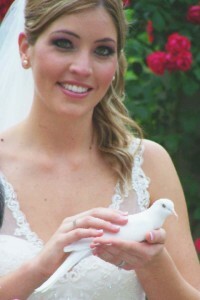 White Doves are a unique wedding idea that will leave unforgettable memories for everyone. White doves are a unique wedding idea no matter what season you will be getting married. 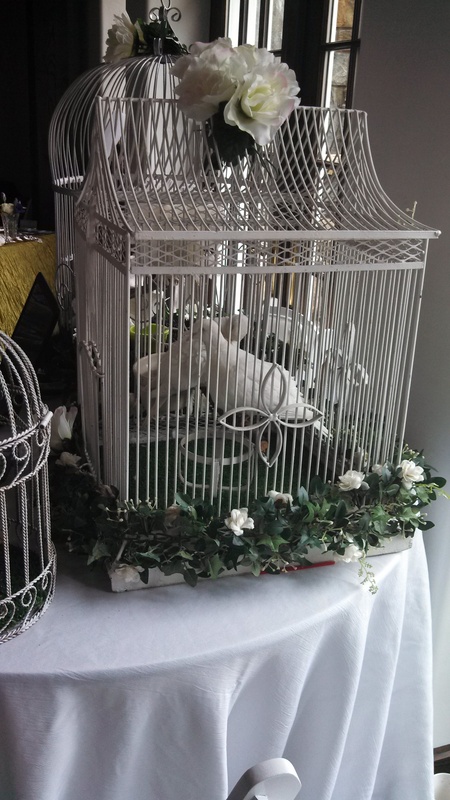 You can choose a winter, spring, summer, or fall wedding theme and white doves will create a memorable moment regardless of the time in the wedding season. Are your wedding ideas on a budget? Want to create a simple and affordable wedding idea? 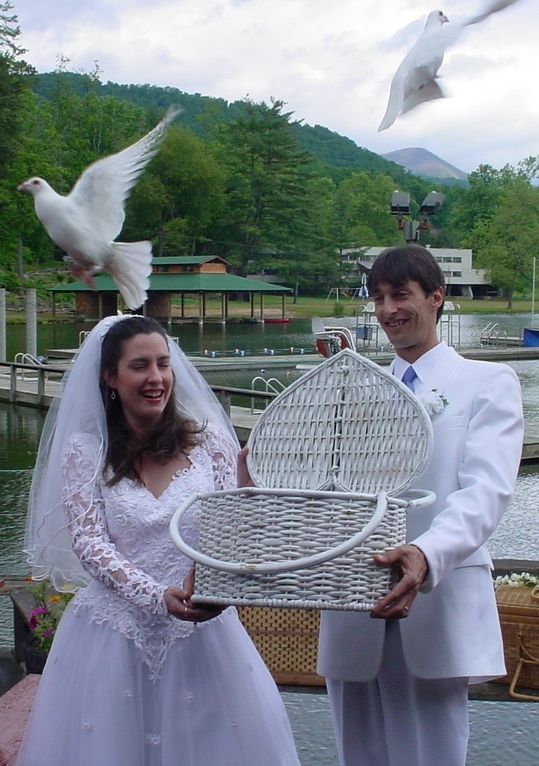 Ask us about creating a unique wedding dove themed package to include a minister, flowers, and cake (using our local Blue Ridge Bride professionals), for a simple wedding where you can marry at a local park, in a hot air balloon or a mountain overview. Think about adding the symbolism of the white doves to your wedding ceremony. Two white doves are traditionally released to represent the life long commitment of the wedding couple who will begin their journey together as husband and wife. We have wedding theme readings and or poems available to incorporate into your very own unique wedding ceremony. They will provide meaning and symbolism to the dove release. A flock of doves released at the finale of the long awaited and anticipated wedding represent friends and family who have come together to love and support the wedding couple in their marriage vows. When they are released following the wedding ceremony, the white doves gather together and fly back to their home. Only Rock Doves are trained to do this. Watch this short clip of a couple sharing their “Ah Ha” moment as the grand finale of their wedding ceremony! 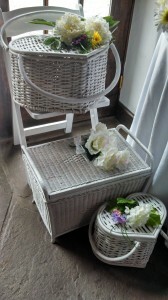 Want to create a lasting memory at the finale of your wedding ceremony? Choose the unique wedding idea that that will never be forgotten? 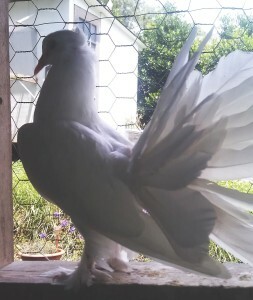 Whether you choose two doves representing the unity of life’s journey together or the grandeur of a white flock release, it is sure to be an unforgettable addition to your unique wedding day! 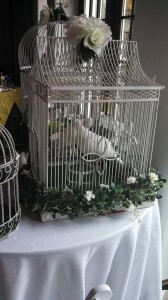 Live Chinese Crested Fantails or a small pair of Ring Neck Doves for display at the wedding or reception. A variety of appropriate release baskets and set ups for releasing doves during your wedding ceremony. We also offer you a selection of meaningful dove poems and readings such as the Message For The Wedding Couple. if you wish to incorporate them into your program or unique wedding ceremony. Do you have wedding on a budget? Allow friends or family members to gift you with this unique wedding idea. Add a white dove release to any part of your wedding related ceremonies. We have gift cards. 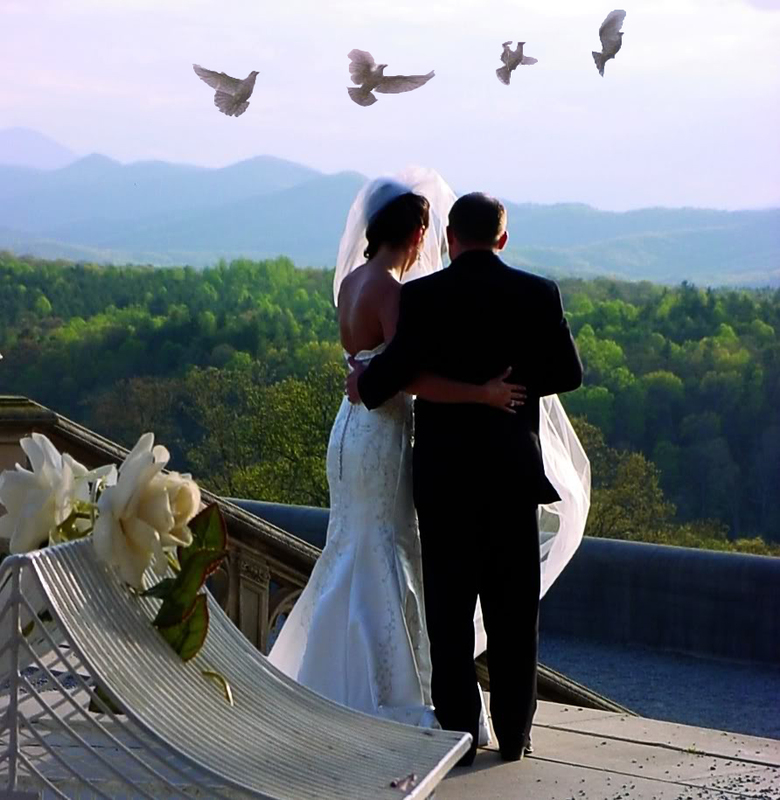 Imagine how your wedding photos will be enhanced by the addition of a white dove release? Create a unique wedding moment when you are pronounced Mr. and Mrs. Remember this is not only the finale of your wedding ceremony but the new beginning of your life as a married couple. 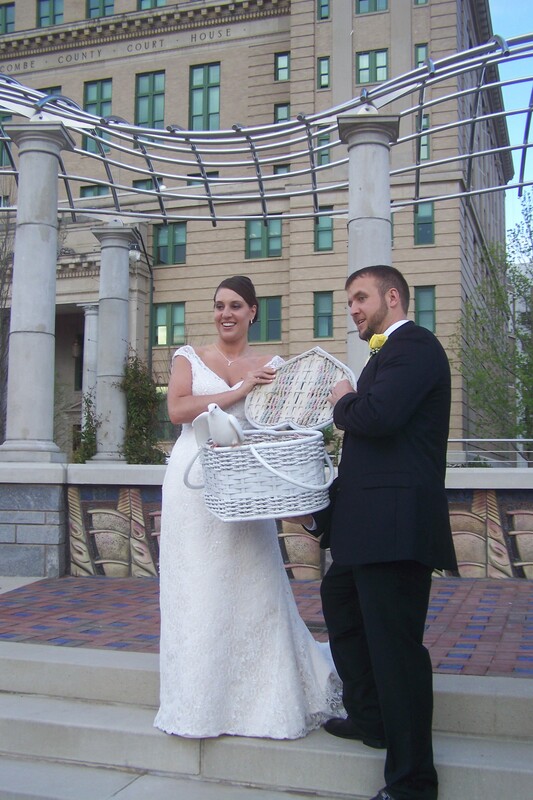 Celebrate with a grand white dove release and create your very own unique wedding memories! THINKING ABOUT RELEASING BALLOONS instead of white doves as your unique wedding idea? Check out this website and think again. Balloons Blow…Please, don’t let them go!